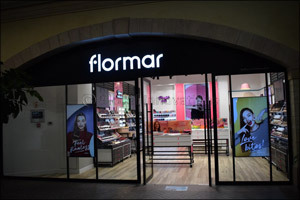 September 27, 2018 - Dubai, UAE: Flormar, an international leader in beauty has opened its 10th store in the UAE at Dubai's popular Mercato Mall with its full line of colours and palettes. The brand offers a range of products that include blush, foundations, eye shadow, mascara, lipstick, concealers and nail polish within the make-up range and an extensive bath and body line. Established in Milan, Italy's capital of fashion, Flormar has become the essential brand of women. Flormar has a powerful position in the cosmetics market, and its successful line of skincare creams, cleansing products and anti-aging are a result of strong R&D developments and beauty expertise. Say HELLO to flawless skin make-up with Flormar's make-up perfection series “Touch of Perfection”. The collection offers a perfect skin look with its renewed packaging and formulas that include matte, anti-acne treatments, BB creams, CC creams that conceal flaws and a new make-up experience with the Flormar illuminator.